A powerful solution for an ultra-mobile PC, the Toughbook U1 comes with the Windows Vista operating system (Windows XP available), a solid-state drive and the Intel Atom Processor. 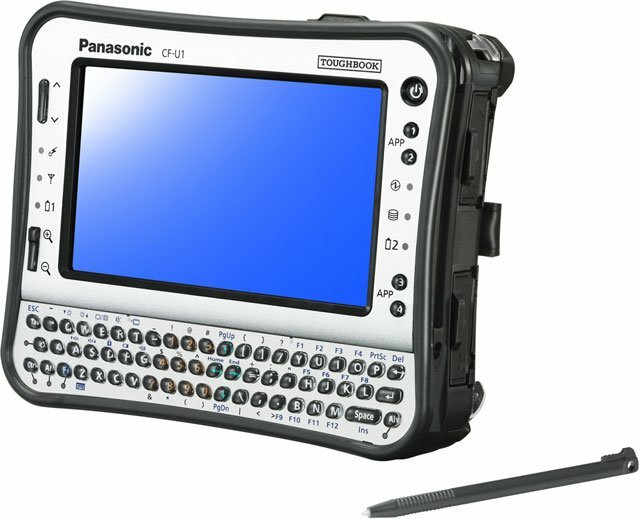 In addition, the Panasonic Toughbook U1 is ultra-rugged, designed to survive a 6-foot drop and provides an IP651 certified sealed, all-weather design. The U1 also features integrated Wi-Fi, USB and SD card slots, backlit QWERTY keyboard, and a 5.6" WSVGA sunlight-viewable touchscreen. 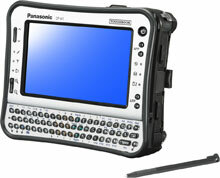 The Panasonic CF-U1AQC2ZAM is also known as CF-U1AQC2ZAM	or CFU1AQC2ZAM	.